Raymarine by FLIR next generation automatic identification systems will enable vessel traffic awareness and encrypted communication between U.S. Coast Guard vessels. Photo by Petty Officer 1st Class Jetta Disco. The appearance of U.S. Department of Defense (DoD) visual information does not imply or constitute DoD endorsement. 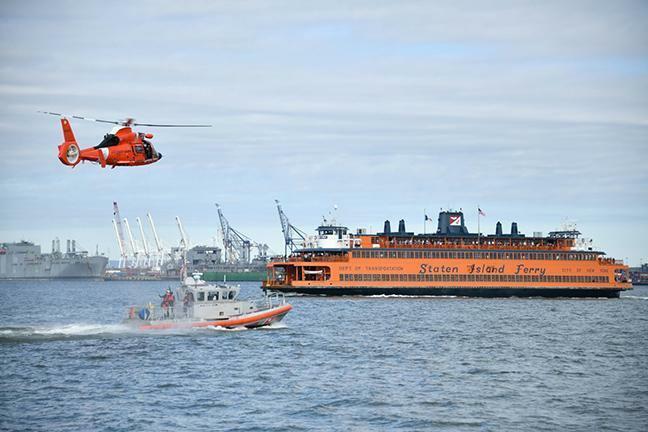 FLIR Systems, Inc. (NASDAQ: FLIR) announced today that it has been awarded a contract from the United States (U.S.) Department of Homeland Security (DHS) in support of the U.S. Coast Guard’s (USCG) Second Generation Automatic Identification System (AIS-2) program. The indefinite delivery indefinite quantity (IDIQ) contract has a ceiling value of $9.9 million to provide second generation Automatic Identification System (AIS) transponders, associated peripherals, and spare parts for nearly 1,774 boats and 282 cutters in the USCG’s active fleet.